If you have been waiting for a truly breathtaking car, your wait may be over. Rolls-Royce unveiled the 103EX, a futuristic car that feels reminiscent of the Delorean but with smoother lines and a more elegant sliding door features. 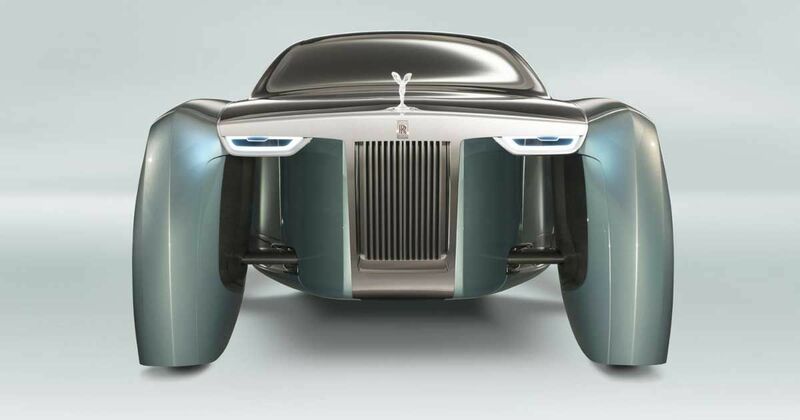 Rolls-Royce raised a proverbial toast to the future with a car that feels more like artwork than a vehicle. "Each Rolls-Royce will be designed less like a car, and more like an individual sculpture made from one seamless surface." The oversized car, at more than 19 feet long, is sleek and the partially covered wheels provide a unique design. Perhaps the most stunning feature of the car is the hood and roof that offer unobstructed views of the outside. The 103EX is an electric vehicle and it has no engine. Two motors (one for the front and one for the back) operate the wheels. Instead of an engine, the front of the car houses luggage storage. The sleek exterior peels away (quite literally) to expose a luxurious interior designed for maximum comfort. The two-seater is clothed in silk upholstery and twisted silk carpeting. A steering wheel? That's so 2016. In the future "Eleanor" will handle all of your driving needs. Instead, riders can sit and enjoy an entertainment center or a quiet ride with their companion. The concept car made its debut last month in North London. The car will appear in Los Angeles, CA in October.